Don’t speak the language? Just keep smiling! Many gestures are universal. A warm smile is innately understood all around the world. A thumbs up, however? That’s learned and doesn’t translate across cultures. But where did all of these gestures even come from in the first place? Meet Kristy Graham and colleagues, from the University of St. Andrews. They videotaped bonobos and chimpanzees in the wild and studied their gestures. These two ape species are closely related, but separated a couple of million years ago. The team identified thirty-three bonobo gestures and compared them with a chimpanzee database. Turns out, NINETY percent of their gestures overlap! 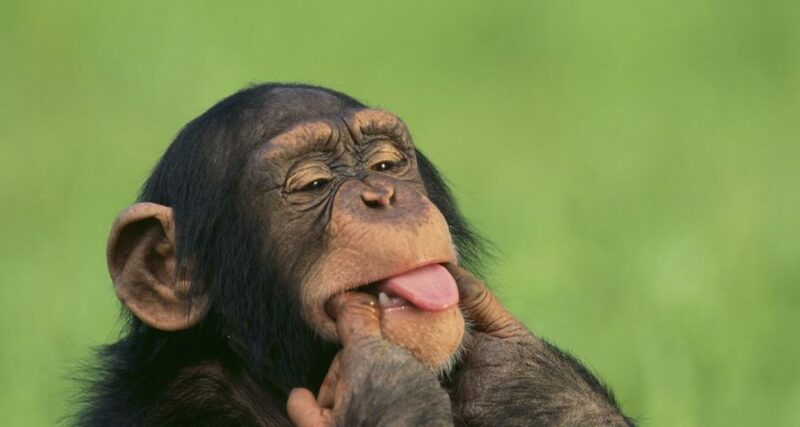 For example: if a bonobo flings its hand, a chimpanzee knows it means ”SHOO!”. The simian vocabularies are TOO similar to be coincidental. The researchers think gestures may be passed down from evolutionary ancestors. It just so happens that HUMANS and these apes share a common ancestor! The researchers wonder if there could be any overlap in OUR gesture vocabulary as well. So, until we find out more about the origin of gestures, keep smiling – and don’t fling your poo!